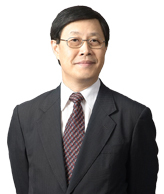 Mr. Kelvin Lo Kee Wai was appointed as an Independent Director on 19 July 2006. He also serves as the Chairman of the Audit Committee, and is a member of the Nominating Committee and the Remuneration Committee. He was last re-elected as a Director at the Annual General Meeting held on 28 April 2017. Mr. Lo has been engaged in the funds management business and practicing law in New South Wales, Australia at Alliance Law Group since 2007. He previously served as chief investment officer of Value Creation Inc from 2002 to 2007, chief executive officer of Mreferral Corporation Ltd from 2000 to 2001, chief financial officer of Midland Realty Ltd from 1999 to 2001, and financial controller of Lippo Ltd from 1992 to 1999. Mr. Lo was appointed as a non-executive director of Medtech Group Company Ltd, a company listed in Hong Kong, in 2001. Mr. Lo is a fellow of the Association of Chartered Certified Accountants of England, an associate of the Hong Kong Institute of Certified Public Accountants, an associate of the Chartered Professional Accountants Canada, a chartered financial analyst of the CFA Institute of United States, and an associate of the Chartered Secretaries Australia. He is an associate member of the Law Society of New South Wales, Australia. Mr. Lo obtained a Master of Laws from University of Sydney, Australia. Mr. Lo was appointed a Notary Public of New South Wales of Australia in 2012.